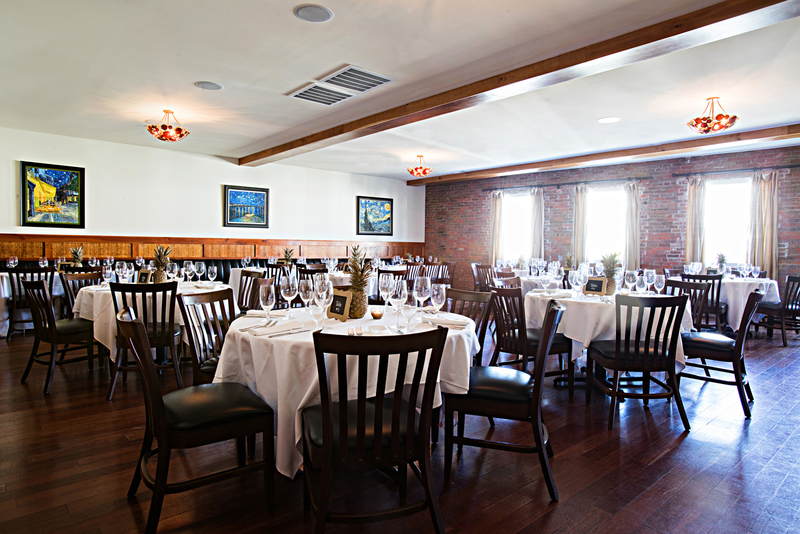 Looking for a great rehearsal dinner venue with a unique atmosphere that showcases the best of Charleston and southern cuisine, and provides top-notch service? Look no further than Stars Rooftop & Grill Room! The Wilkinson Room boasts an elegant ambiance with exposed brick, hardwood floors, and large windows with stunning views of Upper King Street. Maple wainscoting and carefully placed reproductions of Van Gogh’s work complete the atmosphere. This room can seat 75 for a plated dinner, and 65 for a buffet service. 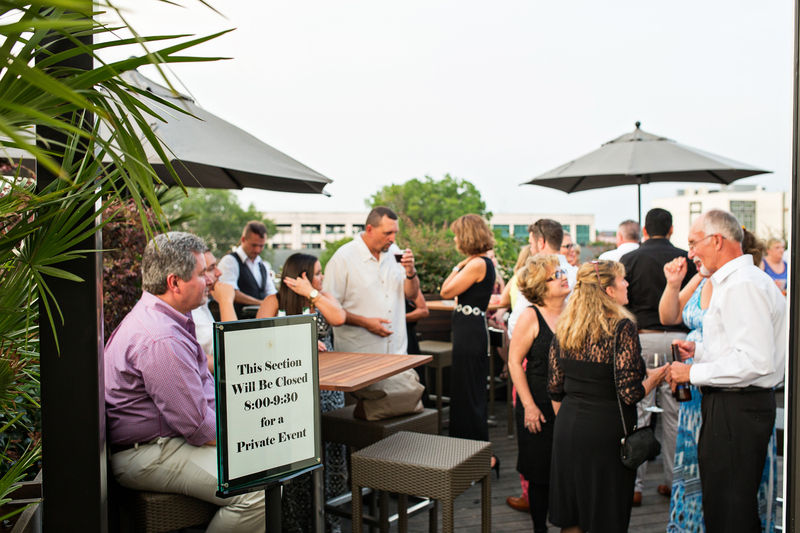 The Rooftop Bar is perfect if you prefer to host an outdoor event. Day or night, our Rooftop Bar will make for an unforgettable event in a one-of-a-kind atmosphere. Guests will enjoy 360-degree views of our city in a classy yet casual environment on the roof! The Rooftop Bar can accommodate 140 people. 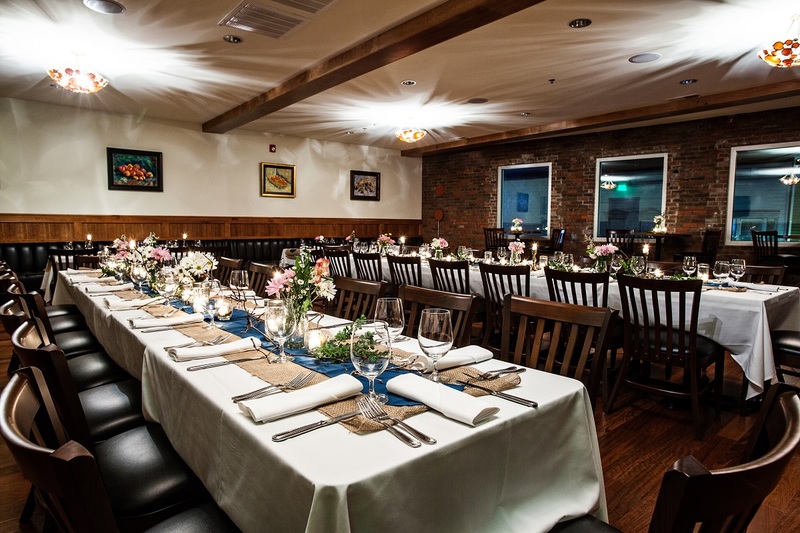 The Vintage Room is a great option if your rehearsal dinner will be a smaller, more intimate affair. On the second floor, the Vintage Room is set away from the activity of the main dining room and has the aura of a wine tasting cellar with our unique wine wall rack and wine bottle light fixtures. This room can seat up to 24 guests for a plated dinner. Our team is at your disposal when it comes to planning the menu for your rehearsal dinner. Whether you prefer a buffet or plated dinner, we can make it happen. You’ll be able to choose customized menu items featuring favorites from our wood grill and Southern inspired classics, as well as hors d’oeuvres and incredible desserts to round out the experience. 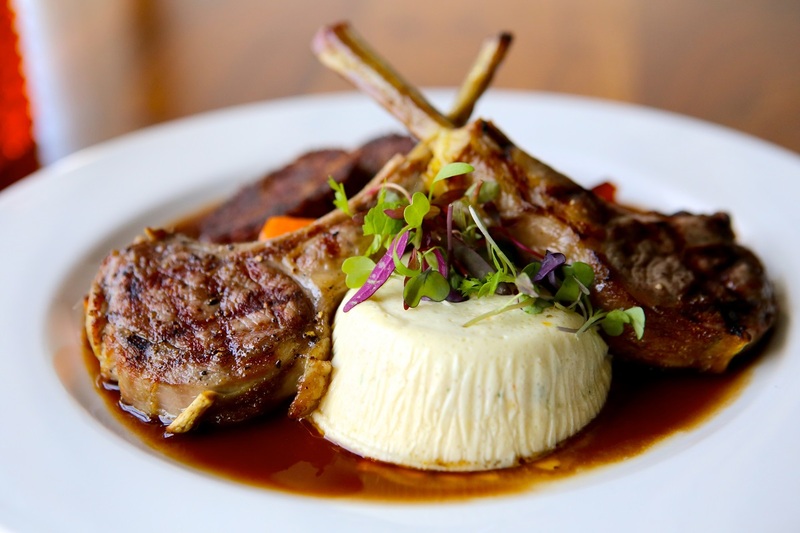 Browse our dinner menu for inspiration! You’re under enough stress with wedding planning already. Let Stars handle your rehearsal dinner, and prepare for an incredible dinner in an elegant setting. We look forward to helping you celebrate!